Seriously? 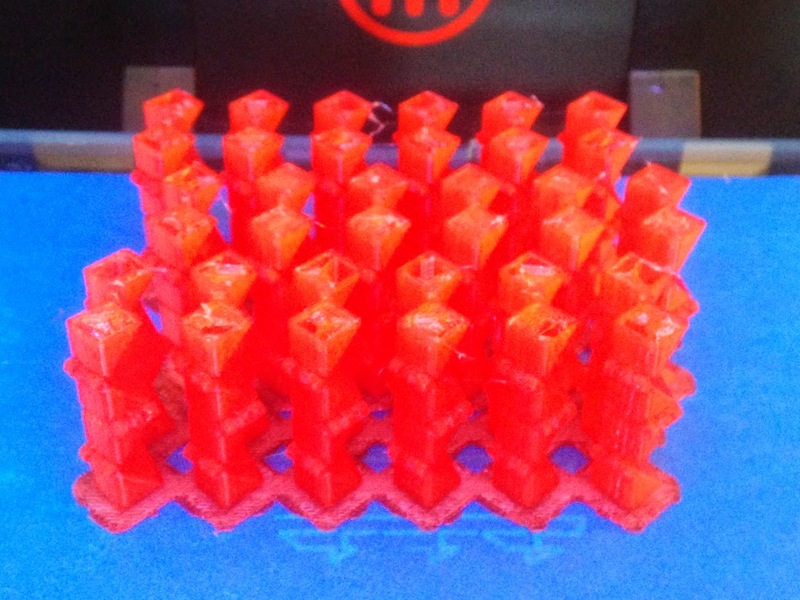 An overnight print of eighteen Fidget Cubes (see Day 158) failed just before the LAST LAYER. Sigh. Technical note: We now use .48 clearance instead of .5 for our 10mm Fidget Cubes; you can set your own preferred clearance at the link above. 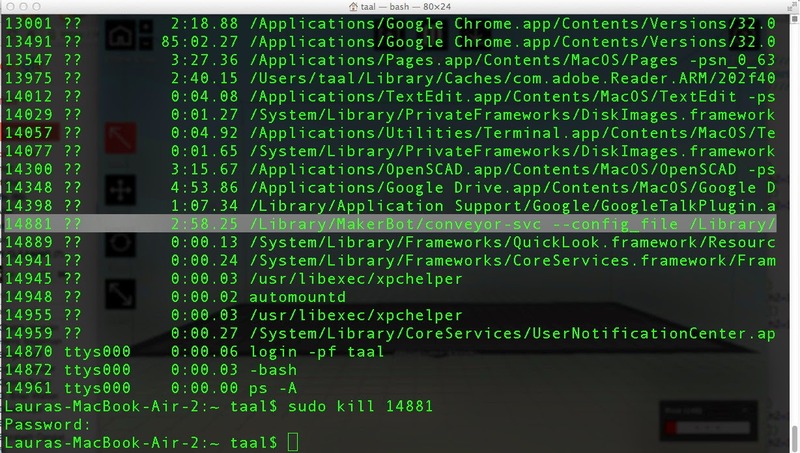 Open the Terminal window and type ps -A to list the current processes. Look for the line that has MakerBot/conveyor in it. This is a process that needs to be killed; see the highlighted line in the screenshot below. Find the number at the start of the line for that process; let's call it 2222 for this example (although in the screenshot it is 14881, and on your computer it will be different every time). Type sudo kill 2222 (again, use the number you found above, not this number). Safety warning! Do not use ever use "sudo" unless you know what you are doing or someone smart that you completely trust recommends that you do so. It basically tells your computer "I know this is dangerous but go ahead and do it anyway."